Can You Use Your Military Housing Allowance for a Mortgage? Do You Get a Navy Housing Allowance if You're Single? Most military members move frequently as ordered by their military branch, and these frequent moves can make it difficult to buy a home and establish equity. To help compensate for this disadvantage, the military provides housing and housing allowances for its members. Like your other allowances and your paycheck, you can spend your housing allowance any way you wish, including using it to pay your mortgage. Basic Allowance for Housing is a tax-free allowance provided to military members to offset housing costs. Because housing costs vary greatly between locations, the BAH payments you receive are customized to your location. Additionally, the military establishes different standards for housing based on your pay grade and number of family members, so you may receive a different payment than someone else stationed at your location. If you live in government-provided housing, you cannot receive BAH because the government already pays for your housing. 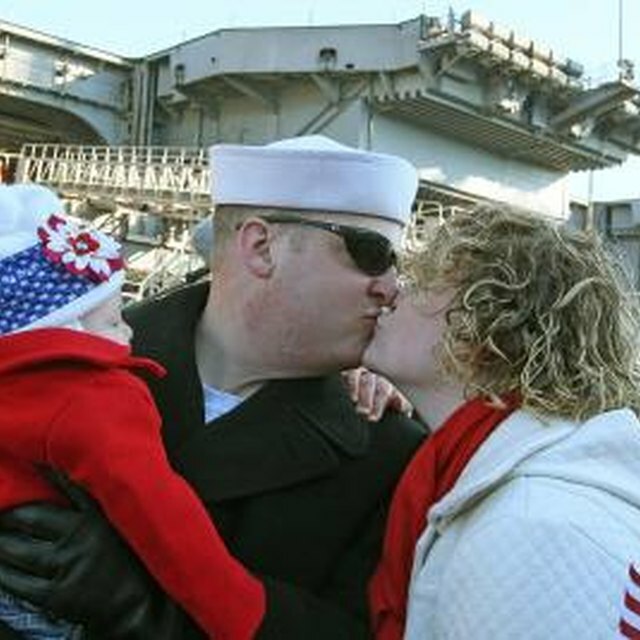 The military offers multiple types of BAH to suit members’ various housing and family situations. Standard BAH is offered at “with dependent” and “without dependent” rates depending on whether the military member has a spouse, child or other dependents. While the military pays a higher BAH rate to members with at least one dependent, the amount does not increase if members have more than one dependent. Military members who are assigned to dormitory or other single housing can be given BAH-DIFF, a type of BAH meant to help the member pay child support. Other types of BAH apply to other situations, including reservists on active duty for less than 30 days and military members in transit. Your BAH rate may not cover your entire mortgage payment because BAH rates are based on costs for rental homes. Annually, military housing offices at each installation gather rental data from the local rental market, including current market rents, average utilities and the cost of rental insurance. For example, the military has decided that three- and four- bedroom single family units are suitable for senior enlisted members and some officers, so your local housing office will obtain rental pricing data from the local area for that type of house and use that data when determining the BAH rate for senior enlisted members and officers. Thus, if you are a junior enlisted member but choose to purchase a four-bedroom home, your BAH -- which is lower than a senior enlisted member and designed for a rental home -- may not cover your mortgage payment. The annual price survey for BAH purposes only includes data from neighborhoods and rental types that the military considers suitable for its members. What Are the Benefits of 100% Disability From the VA? Rental markets can fluctuate for many economic reasons, so the military can change its BAH rates each year based on their survey results. However, once you begin receiving BAH at a certain rate, your rate will not decrease simply because the military’s BAH survey shows lower prices for the local rental market. For example, if you move to a new duty station where your BAH rate is $1,000 per month, your rate will not decrease if the military changes BAH rates for your pay grade to $950 the next year. If the rate increased to $1,050, you will receive this increased rate. This rate protection provides confidence that you will have a steady BAH payment to use for your mortgage or rent payments. Your rate can decrease for certain reasons, however, such as your demotion or move to another duty station.